While I advocate for and can most definitely help you in the Increased Energy and Time Management Department, I wanted to first just give you a solution that requires neither of those. 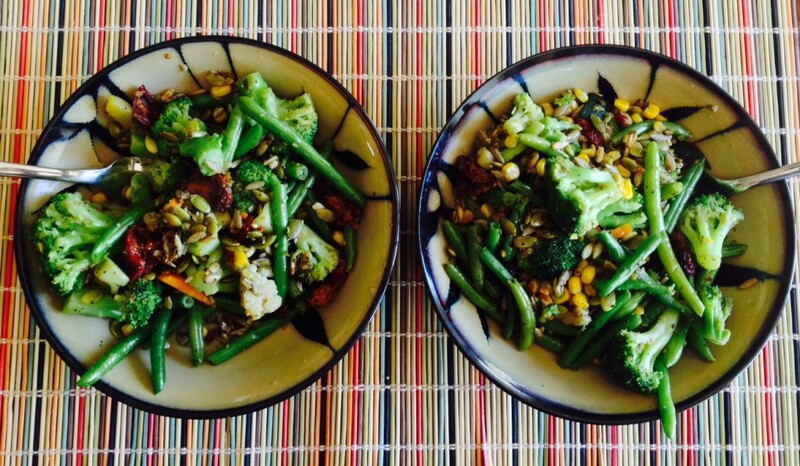 This recipe for 2 took under 15 minutes to make and started with Frozen Vegetables. It would have taken just as long if I made it for 4. *Note – This can be modified by adding or subtracting whatever you have or don’t have, like or don’t like, etc. Stocking up on an assortment of Frozen Veggies is the trick to being able to do this in a pinch. 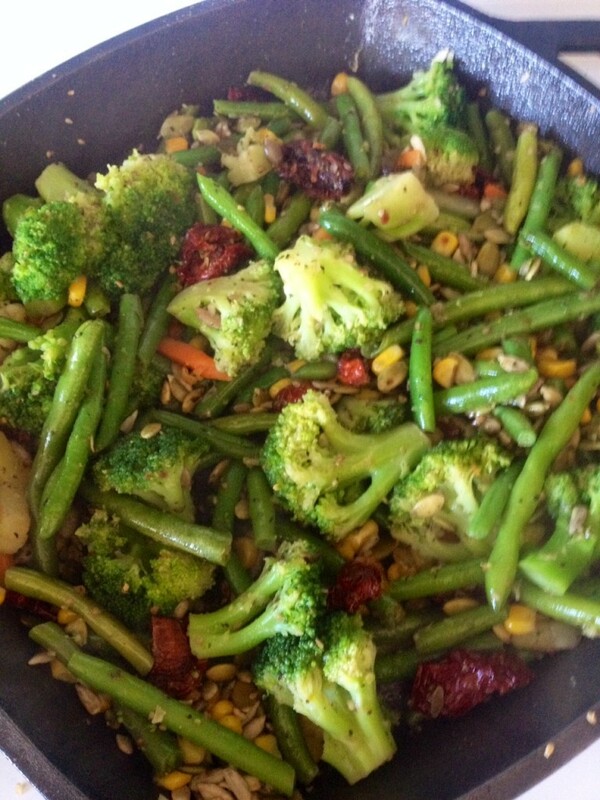 Ingredients: Organic Frozen: Green Beans, Broccoli, Carrots, Corn (optional). 1 cup of mix of Pumpkin Seeds and Sunflower Seeds, 5-6 Sun Dried Tomatoes (optional). Salt, Pepper, mixed spices and seasonings. While Steaming, throw 2 Tbsp. Olive Oil in a Saute Pan and heat on Med. After 3 minutes of steaming, add all ingredients to Saute Pan. « What is a cleanse good for?